Xiaomi Redmi 4X Oreo Custom Rom Nitrogen OS (Oreo 8.1) (Unofficial), Android Oreo 8.1 custom rom Nitrogen OS for Xiaomi Redmi 4X, The rich functionality Rom is based on AOSP, developed by Russian Devs. Nitrogen OS is created with the purpose of adding versatility and customization to stock Android developer. Nitrogen OS ROM is highly deOdexed Rom which promised to give you maximum performance in your device for Xiaomi redmi 4x. This Awesome rom is super smooth and stable. Nitrogen OS for Xiaomi Redmi 4X provides stock UI/UX with various customisations features along with the Substratum theme engine. Nitrogen OS for Xiaomi Redmi 4X is to be one of the best alternative to a stock operating system for your device. AICP ROM for Xiaomi Redmi 4X is based on Android 7.1.1 nougat with the latest, the greatest features from all the custom rom out there. AICP Rom for Xiaomi Redmi 4X. Battery backup of Xiaomi Redmi 4X Oreo Custom Rom Nitrogen OS is pretty good. As usual, For additional features information of Xiaomi Redmi 4X Oreo Custom Rom Nitrogen OS and installation requirements and method, Checkout the full post bellow. 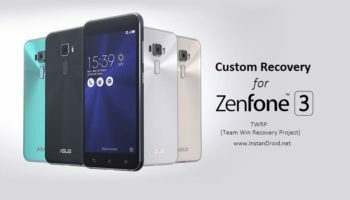 To flash Xiaomi Redmi 4X Oreo Custom Rom Nitrogen OS (Oreo 8.1) (Unofficial), You must need a Bootloader unlocked and Custom recovery installed in your phone. And enjoy the test of Xiaomi Redmi 4X Oreo Custom Rom Nitrogen OS (Oreo 8.1) (Unofficial).